For the next 10 days my etchings are in the Antler and Moss Pop Up Shop at 2 Latrobe Terrace, Paddington. 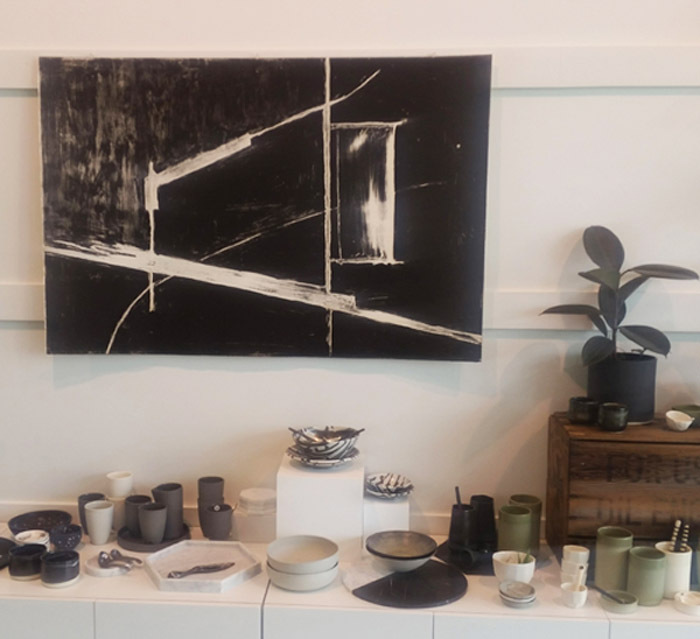 They work well with the stunning monochrome ceramics by Antler and Moss. That’s where design concepts come in. Sometimes you look at the works together in a certain space and you just know they just sing together. Each enhances the other. Like a good marriage hey. All the etchings are printed on Rives BFK paper, sold unframed and are one offs! They are 120 x 80cm so if you’re looking for that statement piece, go check them out.